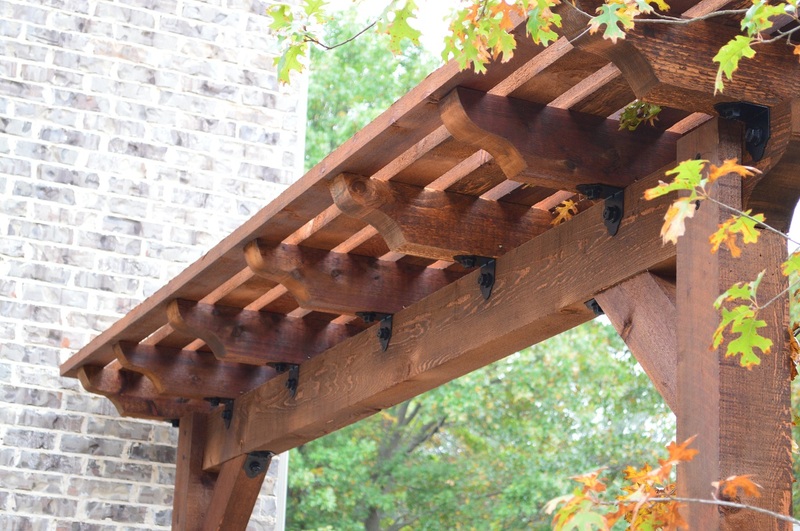 Let Us Design Your Perfect Pergola! 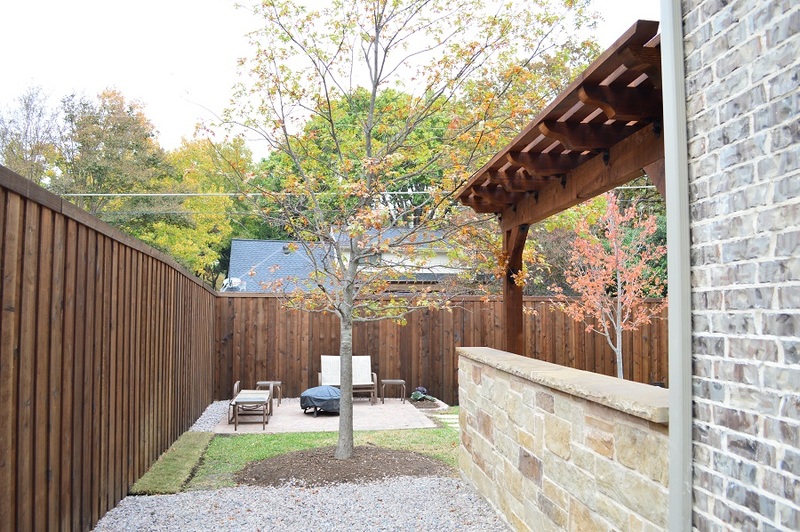 Behind the scenes, pergolas and trellises provide a completely new dimension to a backyard. While many people focus on the importance of indoor renovations like kitchens and living rooms, do not neglect the opportunity to take outdoor living to a new level. 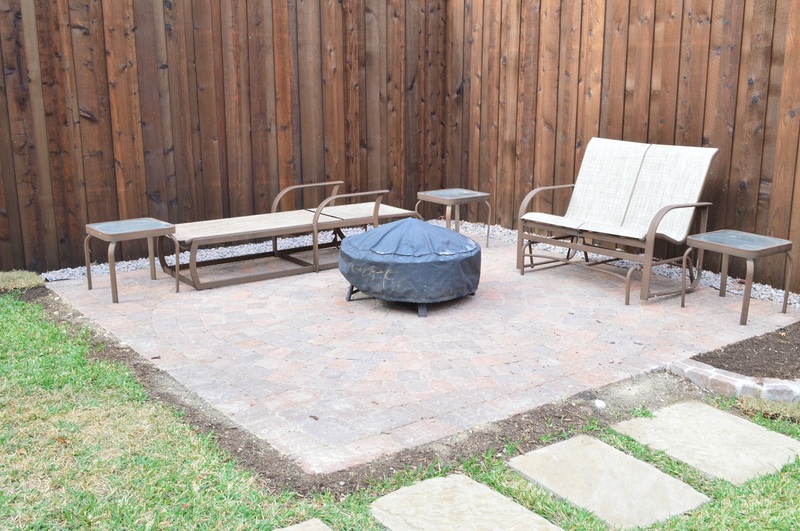 Whether you are looking to create a larger space to host a large gathering or simply adding a new feel to the outdoors, Archadeck of Northeast Dallas-Southlake will help you create a comfortable feel to any outdoor living space. 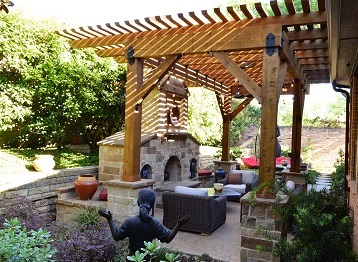 See how a covered porch or unique pergola design can demonstrate that personal touch that everyone is looking for. Pergolas and trellises have developed a reputation serving as an easy extension to a back porch or backyard that accents the sun while providing shade. 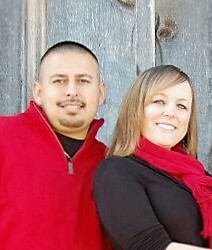 A custom design will provide the opportunity for anyone to show off their personal style. While many people struggle to add these designs themselves, the professionals of Archadeck bring a long and impressive track record with years of experience putting together the most intricate designs to make your dreams come true. 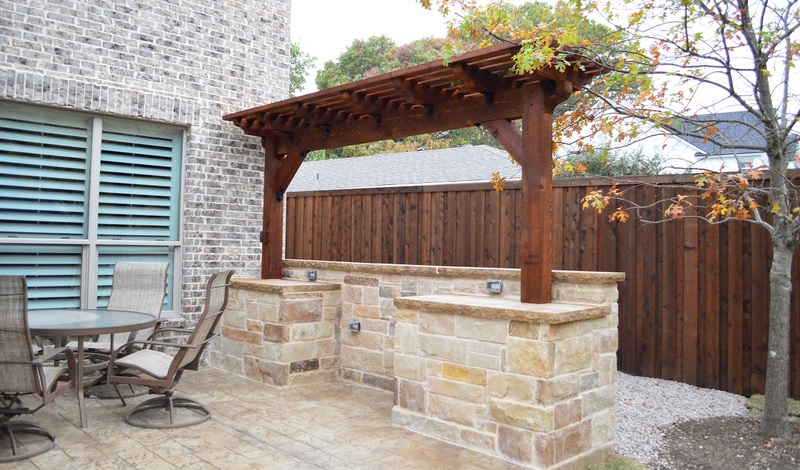 Trust Archadeck of Northeast Dallas-Southlake to design a trellis or pergola that fits with the window configuration of your home, enhances your backyard and adds a new dimension of outdoor living space around any swimming pool, deck, or patio. Our pergola designs can be designed as open and airy for those who want to take advantage of an abundance of natural light and gentle breezes OR fully covered for those seeking solar relief as the ultimate shade retreat. 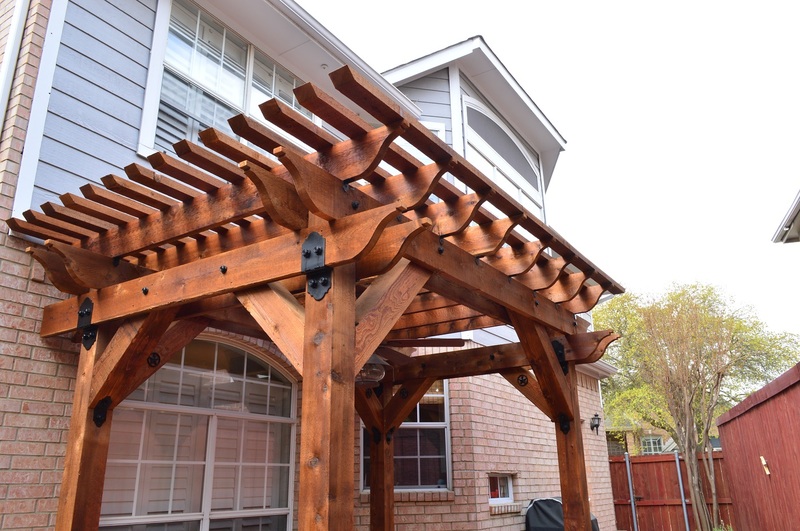 An Archadeck of Northeast Dallas-Southlake pergola will not only add beauty to your home and landscape, but it will add privacy, shade, protection from the elements and even help anchor your outdoor living area. 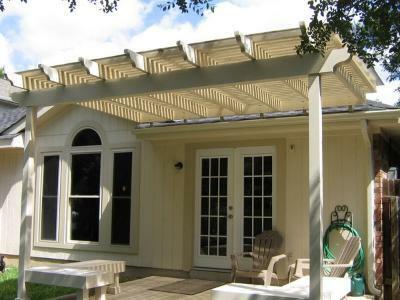 The versatility and benefits of our custom pergolas are truly endless…. Our pergolas offer much potential for providing shade depending on the specifications of the design you choose. The amount of shade a pergola provides is based on the distance between the cross beams that cover the upper portion of the pergola. The construction of the pergola can be made more conducive for providing shade through the spacing between those cross beams and by using wider rafters in the pergola design. The closer the beams are set, or the wider the rafters, the more sun protection your pergola will offer. All of these factors are influenced by the intended placement of your pergola in correlation to the direction and amount of sunlight your location receives. 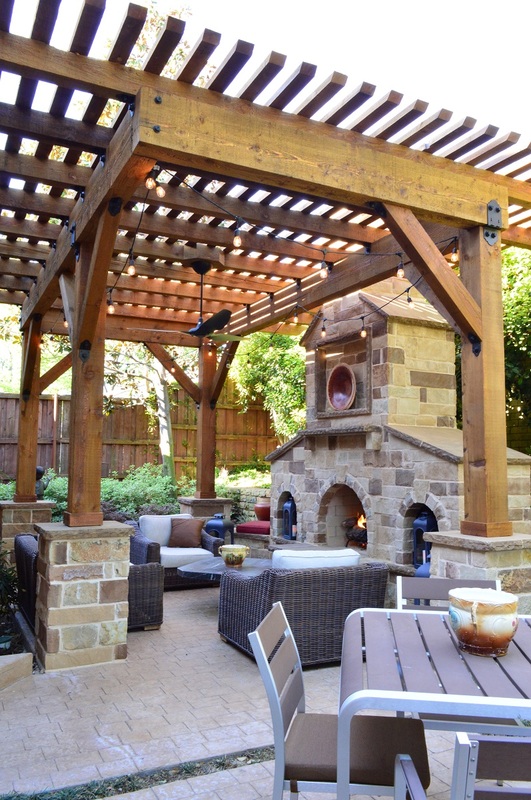 Wooden pergolas, especially cedar, remain our most popular choice for Dallas pergolas. Their rustic charm can add character and dimension to almost any outdoor structure. 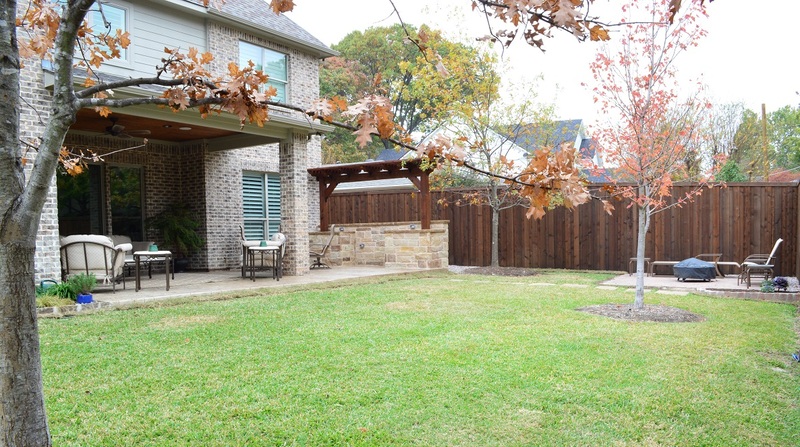 This multi-faceted outdoor living space by Archadeck of NE Dallas-Southlake includes a paver patio, with a 13’ foot natural stone custom hardscape drop-in grill wall which is flanked by a beefy custom cedar pergola. 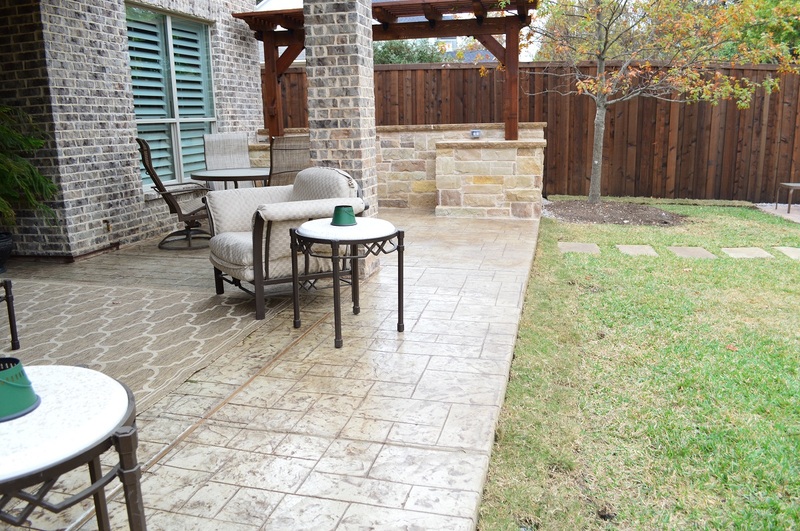 Moving off the patio via a custom Flagstone walkway you can access the Belgard paver patio located at the rear of the yard. Contact us today to learn more at 972-904-33255, or send us an email.